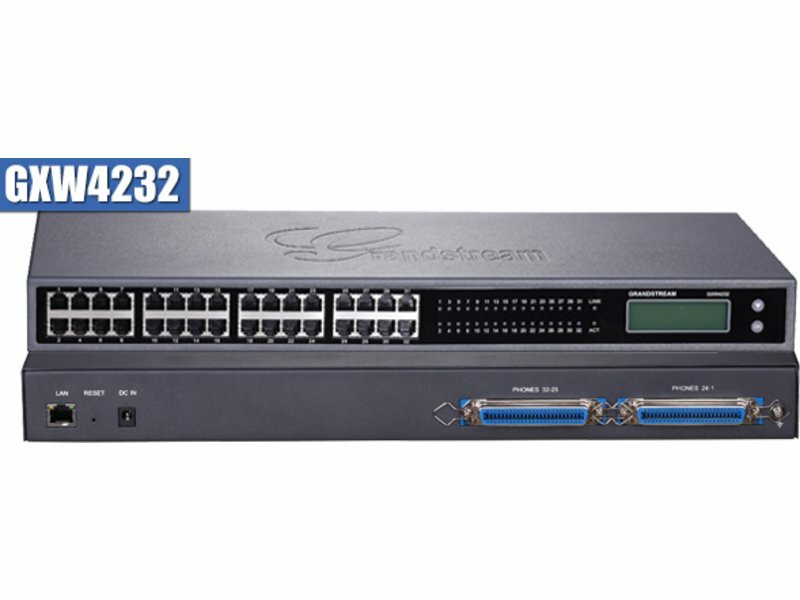 The Grandstream GXW4200 series FXS Gateways provide a unique featureset, catering to very specific deployment requirements. 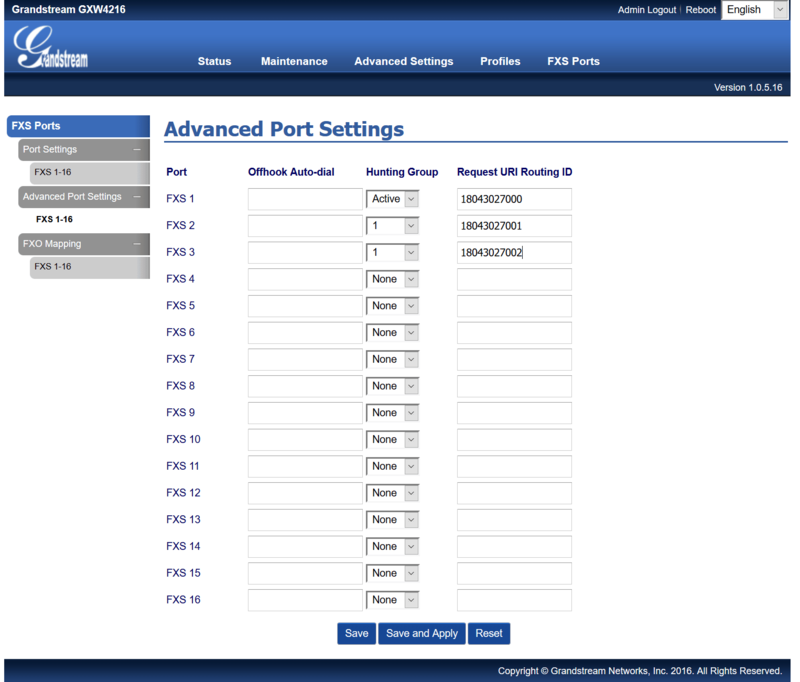 Up to 48 FXS Ports, model dependant, allowing for SIP registration individually at the port level, or you it can be used to route a few registrations while providing call paths for any number of alias DID's on your account. In some deployment scenarios, it may be desirable to consolidate a group of DID's under a single SIP registration. This allows you to not only consolidate your DID's, but the way in which those DID's are billed as well. With this method, you have the flexibility to route/assign DIDs as your deployment may require, while taking advantage of additional cost savings in the process. We've outlined this sort of scenario in this configuration guide for the Grandstream GXW4200 FXS Analog gateways. (GXW4216/GXW4224/GXW4232/GXW4248) As always, should you have any trouble with this configuration guide or need any other assistance, be sure to open a ticket and one of our Engineers will be happy to help you resolve any issues you may be having. Before you begin, ensure that your device is on the latest firmware release. Firmware Version 1.0.5.16 or higher is required. This guide assumes that you have configured the device's network settings as required by your network topology. Save & Apply your settings, and then move on to step 2. See the screenshot below for reference. Use Request Routing ID in the SIP Headers: Yes. Accept Incoming SIP from Proxy Only: Yes. 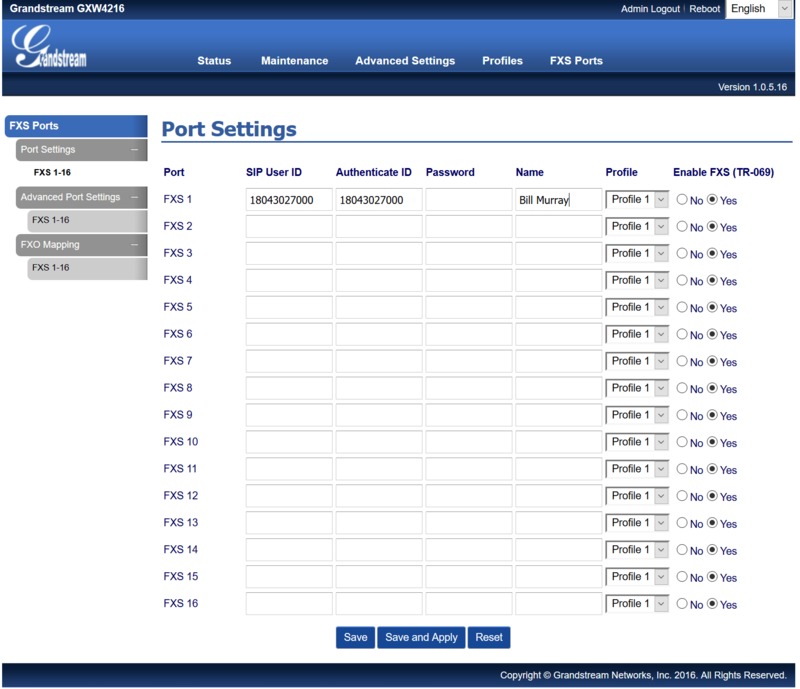 Navigate to "FXS Ports -> Port Settings" to input our account details and register this account to one of the FXS ports. (We used FXS1 in this example). Under "SIP User ID", enter your primary DID. Also enter your primary DID under "Authenticate ID"
Save & Apply settings. See below for an example. First, add the primary DID to the associated FXS Port (In this case FXS1) in the "Request URI Routing ID" field. Set FXS1's "Hunting Group" to "Active"
Add each additional DID to it's own port, putting the full 11 digit DID in the "Request URI Routing ID" field. 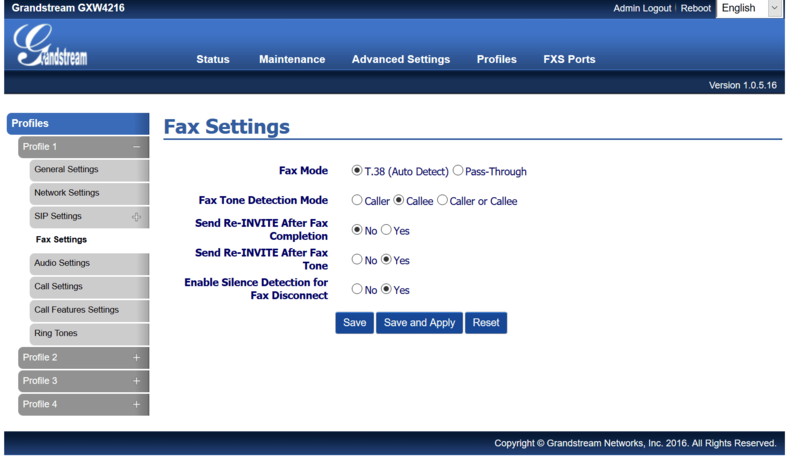 Finally, contact the T38Fax support team to enable support for this method of routing on your Power-T.38 account. As always, if you have any trouble our Engineers are always willing to help you work through any problem with your service!